“Three winemakers, three vineyards, three varietals, one wine” is the unique tagline for a unique Virginia wine named “3”. A triumvirate effort from winemakers Emily Pelton, Jake Busching and Matthieu Finot was born over a friendly beer and a what-if statement. ‘”Wouldn’t it be fun if…’”. The three winemakers decided that this would be an opportunity not only to work together and show the collaborative nature of the industry, but also to highlight the creative process of sharing and learning from one another. The winemaking industry is distinctive, in that it is a wonderful combination of artistry, science and vintage expression. Each of the three winemakers’ personal style joins forces in a product that reflects the blending of terroirs and personalities. “3” is a Bordeaux blend of three varietals in equal one-third portions from the 2009 vintag e.
The Merlot was crafted by Matthieu Finot from King Family Vineyards, the Petit Verdot by Emily Pelton from Veritas Winery, and the Cabernet Franc by Jake Busching from Pollak Vineyards. With more than 30 years of combined winemaking experience, these 3 winemakers carefully selected two barrels from their cellars that they felt would highlight their colleagues’ wine. The resulting product is a wine with perfect proportion and balance. This wine is a limited edition crafted in friendship and bottled to show the unity of the industry. The expansion and quality of Virginia wine is mirrored in the growth of these three young winemakers’ careers. The prem iere introduction of “3” will be at Pollak Vineyards on Thursday, March 3 from 3:33 p.m. to 5.30 p.m. Tastings of this limited production will only be available at this release event and at the three participating wineries all day the following Sunday, March 6. Each winery will have 45 cases for sale at $33.33 per bottle. Matthieu Finot was born in Crozes Hermitage in the Rhone Valley. From a family of viticulturists and wine lovers, Matthieu was predisposed to continue his family's pursuit of winemaking and enjoying. He first studied viticulture and oenology at Beaune, in the heart of Burgundy. After graduating in 1995, Matthieu worked in many different wine regions around France including Rhone Valley, Bordeaux, Burgundy, Provence, and Jura. Matthieu then wanted to gain world-wide experience. He worked in Italy and South Africa before settling in Virginia. Since arriving in 2003, Matthieu has worked with wineries throughout the state. He enjoys working in the Monticello Appellation most because he likes the excitement of the region’s growth and being close to Charlottesville. When not at the winery, or with his brand new son, Matthieu likes to play rugby, snow board, rock climb, cook, and drink wine with his friends. Emily Pelton graduated from Emory University with a B.S. in Neuroscience and Behavioral Biology, and a focus in Infectious Diseases. She happily moved to Virginia from Atlanta in 1999 to take a year off, and work alongside her parents in the development of Veritas Vineyard and Winery. It didn't take long for her to realize that she was not going back to her original field of study. After completing her Masters in Oenology at Virginia Tech, Emily joined the family venture full-time. Focusing primarily on allowing the Virginia terroir to show through in her wines, Emily is emphatic about being true to the grape. Elevated by a strong family business, Emily has grown up making wine solely for Veritas Vineyard and Winery. Outside of wine she has an extensive orchid collection and two beautiful girls. Jake Busching began growing wine grapes in the Monticello region in 1997. Having grown up as a cattle farmer, the transition into winegrowing was a natural step. Pollak Vineyards has been his home as winemaker and general manager since 2003. Having learned viticulture and winemaking through mentors and hands on application, Jake believes that wine is an expression of the soil on which it is grown. Beyond the world of wine Jake plays bass guitar, thinks about playing golf, and has 2 sons that keep him very busy. In 2011 Jake will release a very limited amount of his own wine under the label Pythias. What do Helen Mirren, Beyonce, Joey from “Friends”, Knott’s Berry Farm, and Major League Baseball have to do with wine? DC-area wine lovers will have two opportunities to taste for themselves as America’s Uncommon Wine Expert and Founder of ForgottenGrapes.com CHRIS KERN present two nights of “Getting Friendly with Forgotten Grapes: An Evening of Uncommon Wine Tasting” on Tuesday, March 1st at 6:30pm at Open City DC in Washington DC, and again on Thursday, March 3rd at 6:30pm at Twisted Vines Bottleshop & Bistro in Arlington, VA.
Chris Kern, Am erica ’s Uncommon Wine Expert is returning to the nation’s capital, and he’s bringing five all-new Forgotten Grape wines with him for you to taste. You’ll sample these uncommon and lesser-known wine varietals while Chris introduces you to each wine and its pop culture doppelganger through songs, jokes, skits, costumes, and interactive games. It’s unlike any other wine tasting you’ve ever attended. It’s irreverent, it’s off-the-wall, it’s unpredictable, it’s “Getting Friendly with Forgotten Grapes”. Admission at both events is just $35 per person, which includes generous pours of all five Forgotten Grape wines, the two-hour show, and palate-cleansing snacks provided by the venue. Reservations are extremely limited and this event sold out the last time it was in the area, so make your reservations now. Reservations for the March 1st tasting at Open City DC can be made by e-mailing Heather at Open City at heather@opencitydc.com. Open City DC is located at 2331 Calvert Street NW in Washington DC . Visit www.opencitydc.com for more information. Reservations for the March 3rd tasting at Twisted Vines can be made by either e-mailing Twisted Vines at twisted@twisted-vines.com or by calling them directly at (571) 482-8581. Twisted Vines Bottleshop & Bistro is located at 2803 Columbia Pike in Arlington . Visit www.twisted-vines.com for more information. This Friday night, February 25th, Virginia Governor Robert McDonnell and his wife Maureen will unveil the winner of the 2001 Governor’s Cup for red wines at the Virginia Wine Expo. 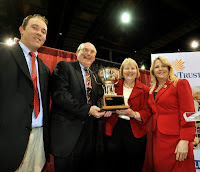 We will be on hand filming the awards ceremony for Virginia Wine TV and interviewing the finalists. 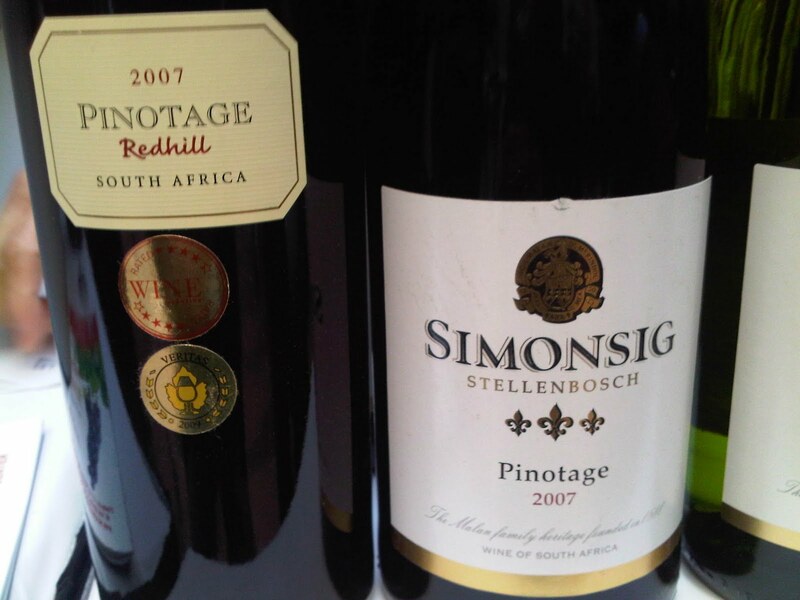 In total, 196 wines were submitted from 60 wineries, with six of these receiving Gold medals. These gold medal winners are the finalists for the Governor’s Cup. Let's see, three cabernet varietals, a Meritage, a Norton, and a Petit Verdot. All food groups represented. We've tasted almost all of these - except for the Fox Meadow. Sad, we were just in their neighborhood last weekend. Time to return. Support HB777 for reduced taxes for craft distillers! Join Catoctin Creek Distilling Company and lobby Congress to support HB777 a bill introduced by Congressman Hinchey (NY) that would reduce the federal distilled spirits excise tax rate to $2.70 per proof gallon for distillers that produce fewer than 65,000 gallons annually. This discounted tier structure mirrors what the small beer and wine producers have enjoyed for decades and how that's helped micro brewers and small wineries to flourish throughout the country. This tax reduction will enable these small distilleries to invest in new equipment and provide new, high-quality and sustainable jobs in communities across the United States. 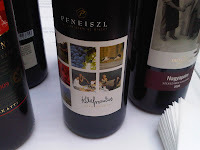 On the heels of tasting some fabulous eastern European wines at the Washington D.C. Int'l Wine Festival, we were invited to attend a special trade tasting of just Hungarian wines held at that country's embassy. 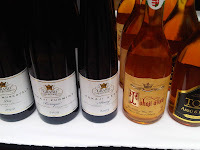 There was an expanded selection from those presented at the festival which gave a fuller picture of the styles of wines produced primarily from Tokaji and Villány. 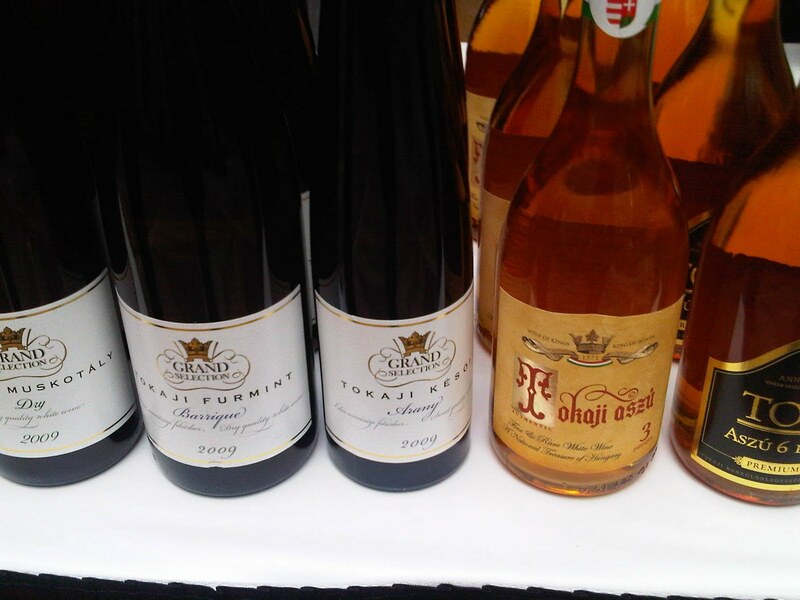 Tokaji is located in the northeastern section of the country and is known for making sweet dessert fines from Furmint, the Tokaji Aszú . And there were plenty of the highest quality - 5 and 6 puttonyos - available. 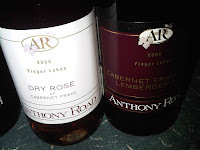 These wines are sweet, with generally strong apricot flavors. But they are balanced - with no gritty or syrupy finish. 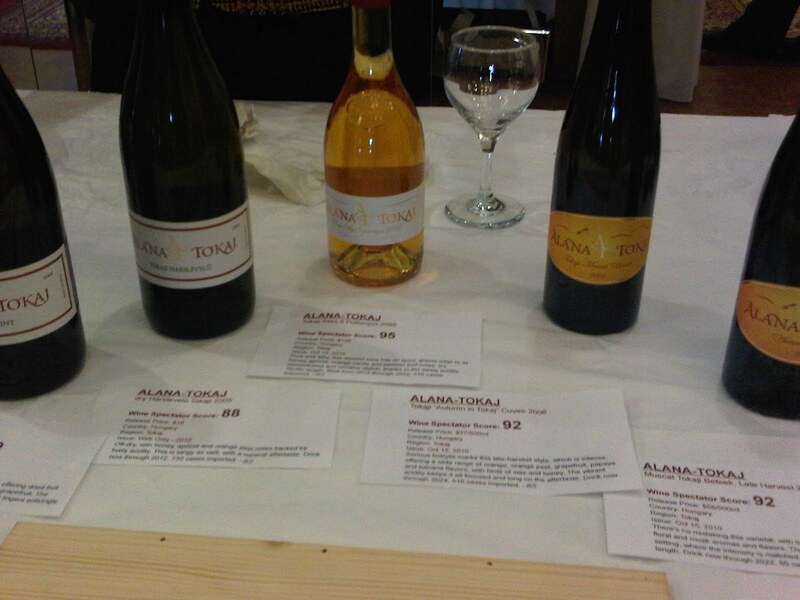 Two we really enjoyed were from Alana-Tokaj and Béres Vineyard and Winery. Both these wineries also had examples of dry Furmint as well as semi-dry Hárslevelü - which along with orange muscat are the only grapes authorized to be grown in the region. And Béres also provided a bonus - two versions of Hungarian palinka - these made in a grappa style. Excellent. Villány is located in the southern region of Hungary is is known as "Little Bordeaux" for its ability to grow Cabernet and Merlot grapes. And wines from these grapes are made in the old world earthy style as opposed to the new world fruit bombs. We started with the wines imported by the Blue Danube Wine Company which culminated into the Attila - a blend of grapes that would give many premier or second crus a battle. Blue Danube also presented wines from native grapes - Kékfrankos and Kardaka which we profiled in our previous post. We then tasted several dry reds produced by the Château Teleki. They were pouring several single varietal Bordeaux style wines which were all representative of the old world miner-ally wines and tasty. But we were more pleased with their Pinot Noir, which shows that Burgundy also has a presence in Villány. This wine is velvety smooth and full bodied - very nice. 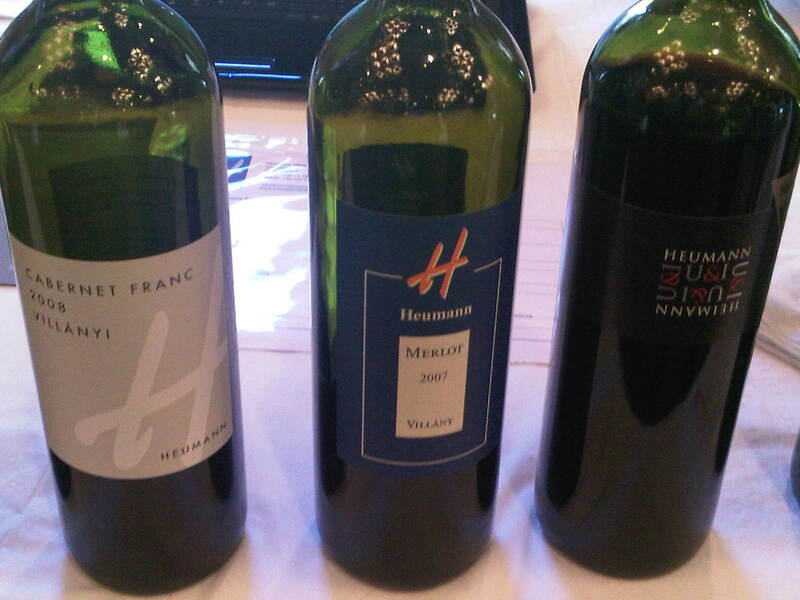 The final set of reds were offered by Heumann Winery, which is owned and operated by Evelyne & Erhard Heumann. The couple found a suitable Villányi vineyard over 15 years ago and have been producing wines from native and Bordeaux grapes since. And, Mr. Heumann was present to showcase the wines personally. He offers several single varietals - including a Kékfrankos - but its his two blends, Terra Tartaro and Heumann which will remain in our memory. These are smooth classic Bordeaux cuvees, with light tannins and balanced acidity. And priced to sell - we start searching this week. As a bonus, we tasted the Heumann Chardonnay - a very impressive wine - full bodied with apricot flavors and a slight nutty finish. Perhaps the only version of Hungarian Chardonnay available. The creators of MyJoogTV - who pair musicians with makers of fine wines, brews, spirits - have released a new series called Virginia Wine TV. This new series focuses exclusively on the wines and winemakers in the Commonwealth. Heumann Kékfrankos and Heumann Cabernet Franc - and this mixture was easily more enjoyable than each as a single varietal. Just remember, whether Hungarian Kékfrankos or Finger Lakes Lemberger, all are very good, affordable, every day drinking wines. We also tried several other Hungarian wines, from dry reds and whites to the famous Tokaji Aszu. We tasted the Eszterbauer Szekszárd Kardaka Nagyapám, a dry, medium bodied wine with some similar characteristics as the Kékfrankos - without the complex ity. Kardaka is a traditional Hungarian grape that was once the dominate grape in the famous Egri Bikaver - Bull's Blood. Its nice to see a single varietal Kardaka make the journey West. There was also plenty of dry Furmint available, another traditional Hungarian wine grape that is normally vinified into Aszu. 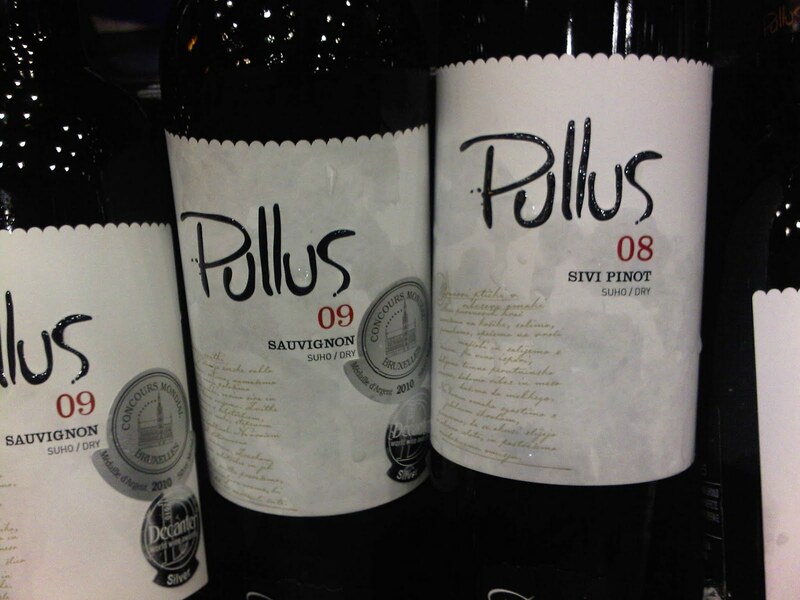 Made dry, it is a refreshing wine, balanced between fruit and mineral characters. And we had to sample the sweet Furmint displayed in two wines: Tokaji Aszú 5 Puttonyos and the 6 Puttonyos Aszu. Both had the powerful apricot flavors - definitely strong - but not gritty or syrupy. The "Dessert Wine of Kings". Check out the Blue Danube Wine Company more more information about these wines. After tasting th e various Hungarian wines, we moved to neighboring wines produced in Croatia and Slovenia. We are more familiar with Croatian wines, particularly those made from Crljenak Kastelanski - better known as Primitivo and Zinfandel. Another familiar grape is the indigenous Babić as well as its parent Placac Mali. 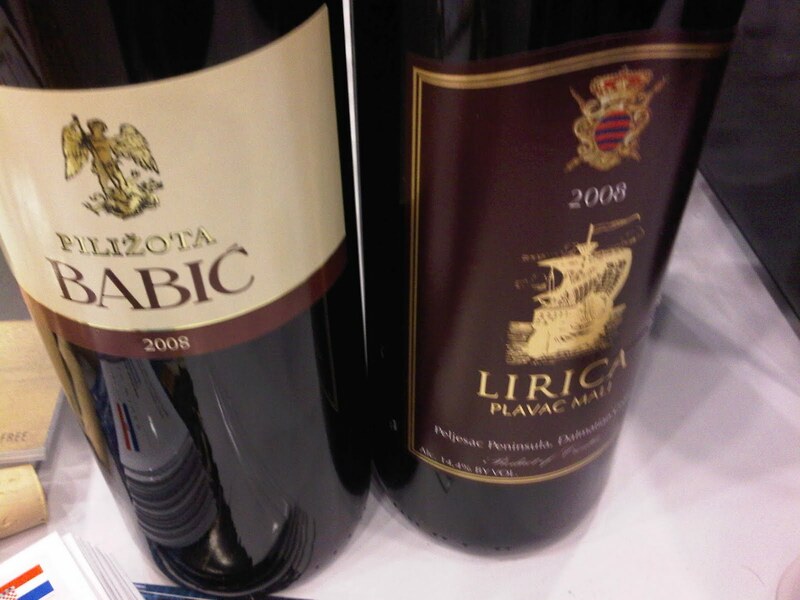 Both of these were available today: Babić Piližota and the Lirica Plavac Mali Peljesac Dalmatia. Both these wines are produced in the warmer climates in the Dalmatia coast. The Babić was smooth and silky, balanced between fruit and earthiness. The Plavac Mali featured more red fruits and seemed more tannic and spicy. Both were very good and extremely affordable. Check out Fine Croatian Wines for more information. 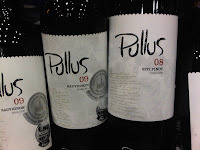 Pullus Sauvignon Blanc. This wine had everything you would expect from that variety - refreshing acidity, tropical flavors - this wine just exploded in the mouth. Will definitely give some New Zealanders a run. Wow. 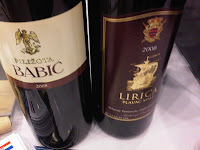 Once again, check out Fine Croatian Wines for more information. 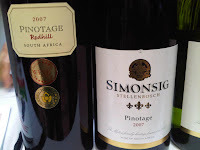 We did try other wines, in particular several Pinotages from the large contingent of South African wines. The best trend was that most lacked the strong tobacco - smokey characteristic that repelled us from consuming more of wine varietal. In fact, most resembled its parent, Pinot Noir, with silky bodies and creamy texture. These were nicely done and very affordable. Time to re-evaluate these wines. Then, of course, we had to sample the Finger Lakes dry Rieslings and the Rhatiselli from Dr. Konstantin Frank's Vinifera Wine Cellars. 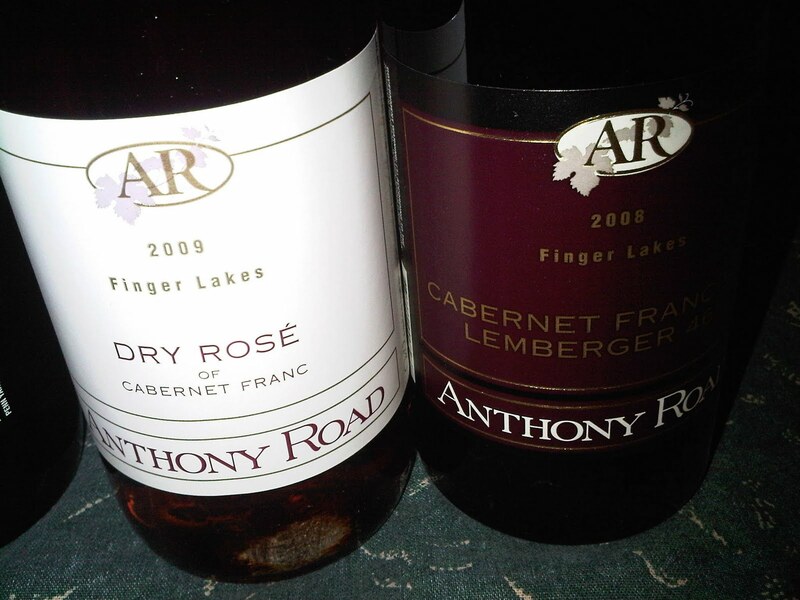 Combined with the reds we tasted earlier - we must include a trip north this summer. Too much good wine being made in that region to miss. And finally, there were a few spirits. 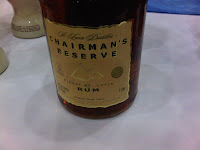 It was nice to see our friends from St Lucia Distillers Group, producers of Castries Crème, rolling out a new line of r um under the Chairman's Reserve brand - Chairman’s Reserve and Chairman’s Reserve Spiced. The spiced rum was very interesting - with the spices and botanicals contributing like a fine gin rather than a chemical additive as with many spiced rums. And Philadelphia Distilling returned, pouring their Vieux Carré Absinthe and Bluecoat American Gin. 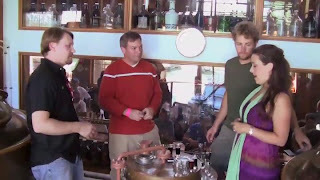 We didn't sample today, but expect a future episode featuring these spirits from MyJoogTV.com. 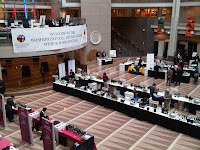 Just a reminder that this weekend brings two major wine festivals to the Washington D.C. metro area. At the Ronald Reagan Building & International Trade Center, over 100 domestic and international wineries will be pouring more than 600 wines during the Washington D.C. International Wine & Food Festival. Hours are from 2:00pm-6:00pm both days. And out west, the Virginia Wine Showcase is being held at the Westfields Marriott in Chantilly where 37 Virginia wineries will be pouring wine. Tickets are very reasonable $45 for a tasting; $20 for non-tasting; and children under 11 are free. We were guests on at the Michael Green blog writing about one of our favorite wine grapes: Blaufränkisch. This episode of MyJoogTV features Sarah Siskind and Travis Book, bassist for The Infamous Stringdusters, in a discussion of beer, music, and The Festy with Devils Backbone Brewing Company master brewer Jason Oliver. The episode was filmed during The Festy, The Infamous Stringdusters' signature weekend music festival held on the festival grounds at Devils Backbone. Specifically we discussed Siskind's affection for beer as well as her beer blog; The Festy; and the award winning beers crafted by Oliver. The episode concludes with Sarah Siskind and Travis Book, accompanied by guitarist Andy Falco, performing "Wild Fire" on the Southern Stage; and The Infamous Stringdusters on the Main Stage at The Festy. The video is available to download for iTunes and Windows Media Player. To view more videos filmed at The Festy, visit the MyJoogTV Festy Channel. And a special thanks to Nelson County for sponsoring our trip to the region.